Black Lab Linux is based on Ubuntu Linux tailored both for general desktop use and for the more technical user. It is commercially made available by PC/OpenSystems LLC for business desktops, education facilities, as well as parallel computing. General purpose community distribution that is best for home users and small size businesses. Major releases come at a price but you can wait 45 days and get them for free with self-support option. As any Linux - not the best option for non tech users but it's still user friendly with a user interface is simple to navigate. You can't pin icons for quick launch convenience. Looks like even Ubuntu has given up on the Unity desktop and I believe that moving forward Unity will be only community maintained. * We monitor all Black Lab reviews to prevent fraudulent reviews and keep review quality high. We do not post reviews by company employees or direct competitors. Validated reviews require the user to submit a screenshot of the product containing their user ID, in order to verify a user is an actual user of the product. Hi there! 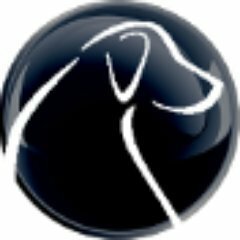 Are you looking to implement a solution like Black Lab?